1. Add storage—even in the most unexpected spots. Having enough storage is important for a small space to be successful. 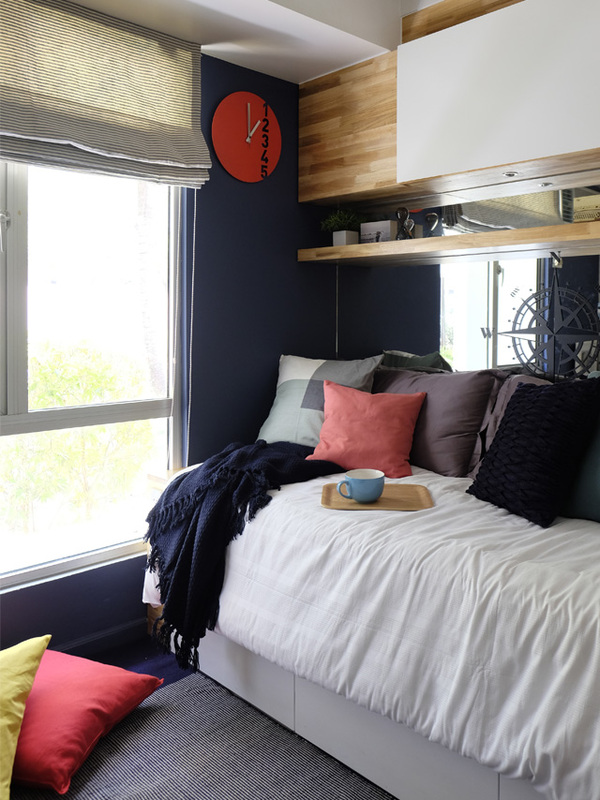 After all, you don't want clutter taking over your tiny home. 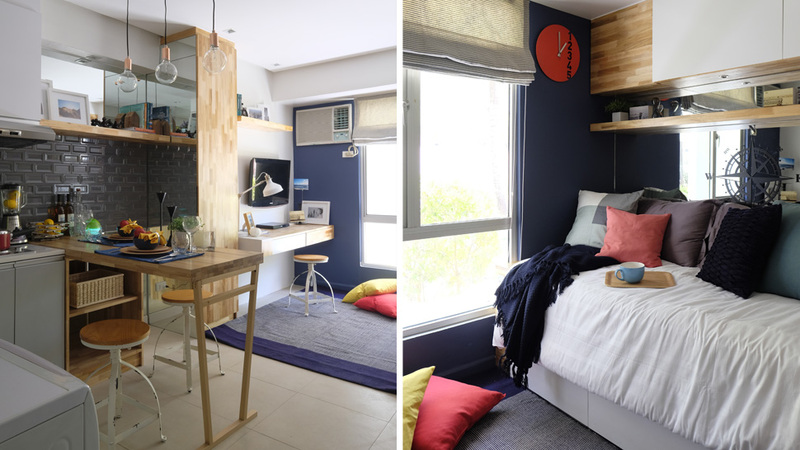 In this pad designed by Maya, a customized wardrobe closet was incorporated into a tight vertical space and connected to a shelving and desk unit. Designed by Bespoke Interiors, it also helps define the sleeping area from the dining nook. Bespoke Interiors is a Cebu-based company offering custom-made furniture, upholstered pieces, and other interior accessories. RL Tip: Be on the lookout for niches, corners, and empty spaces you can turn into a storage spot. Wooden ledges, corner shelves, and storage cubes are your best bets. The wardrobe closet was customized with a mirror to create an illusion of bigger space and to achieve a seamless aesthetic. 2. Work on a cohesive look. Whether you're shopping for accessories, decor, and furnishings, try to keep within the same color palette or theme. Since guests can see the entire space in one go, a uniformed look is more pleasing to the eyes. "I make sure these things tie into a theme, or are related somehow to each other either by the color scheme, print, or style," says Maya. 3. Keep things organized—even the tiniest of essentials. 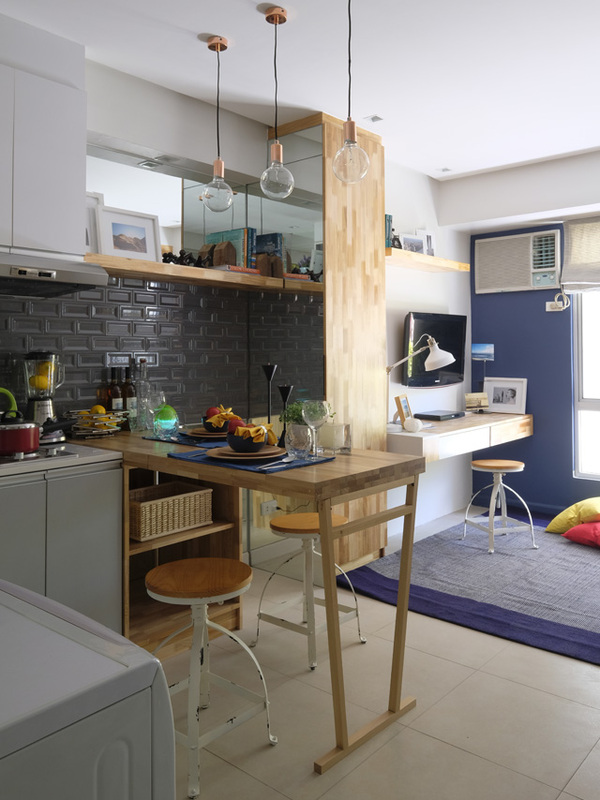 In most studio units, the kitchen and dining areas are directly connected to each other. Avoid a cramped look and maintain order by organizing your cooking and eating utensils. “Take inventory of all the utensils and kitchen stuff you have and figure out which cabinet they are most convenient to be placed. Then, take the measurements of the inside of these cabinets, then go to stores that specialize in organization,” says Maya. RL Tip: Organizing utensils? Shop for acrylic organizers or wooden pieces to keep your cabinets stylish. Drop by Muji, Gourdo's, or The Landmark in Makati for options. 4. Don't forget to spruce up the bathroom. While most bathrooms in studio units are teeny-tiny, they still deserve some TLC. “If there are areas where the tile does not go all the way up, paint that wall with an interesting color. Add some artwork, add a magnetic board…add funky sticker-art on the glass enclosure or choose a shower curtain that’s interesting," the architect suggests. You can always count on plants to freshen up this space. There are potted wonders that thrive even in the bathroom. Place a pot or two in a corner or allot a space on your counter. 5. Keep the sleeping area snug. Don't settle for a plain sleeping space! 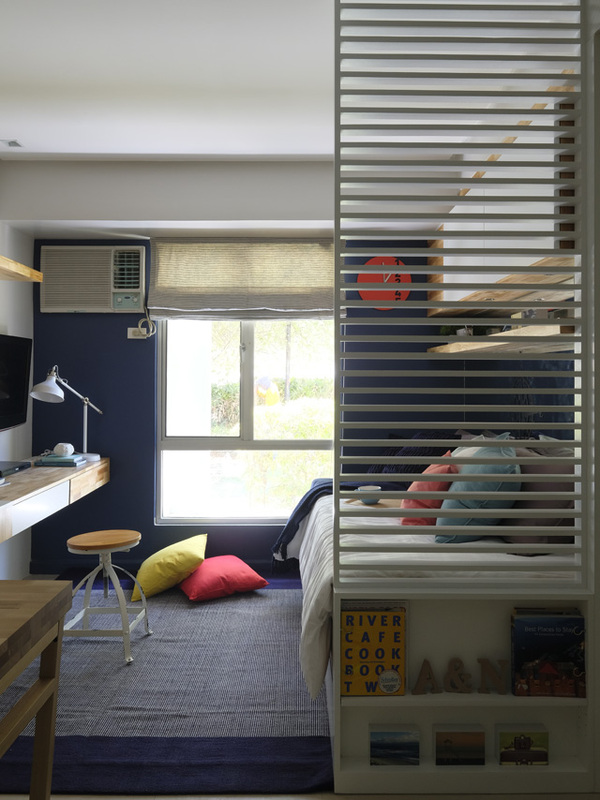 If possible, locate it near the window so you can make use of natural light and the view. Complete it with soft blankets and fluffy pillows for a rewarding slumber. A snippet of this article originally appeared in the August 2016 issue of Real Living Magazine. Shot on location at a model unit of Avida Towers Riala.